Tony Brandenburg: The Po Po Police & Who is Yolande Beckles and What has She Done with Tyron Hampton? 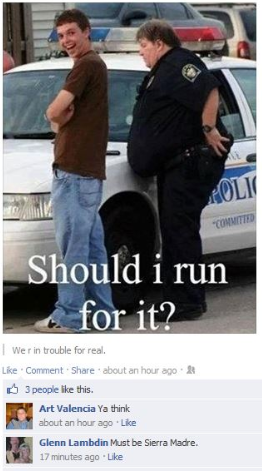 Uh oh, the Po Po! Fasten Your Seatbelts - I was pulled over in Sierra Madre last week. I had the whole gang in the car, and we were on our way to have a hot, nutritious meal. Burgers and fries. The boys were behind me at 5 and 7 o'clock. However, as I was being pulled to the side of the road on So. Lima, they were screaming at each other, both were at 5 o'clock and threatening to beat the tar out of each another. "Hey, you guys. 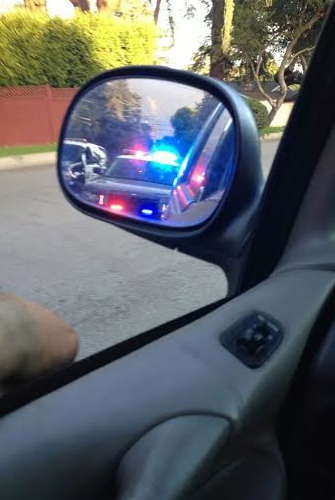 I'm being pulled over. You might want to cool down." They both sat up, and immediately their scorn was all for me. "Way to go Dad, what did you do?" Nothing that I could tell. I was barely out of my driveway. I actually felt kind of bad for the Officer because - try as I did - I know I seemed like a curmudgeon. I hardly allowed him to say "Good evening ..." before I started asking questions. Apparently he thought I wasn't wearing my seat belt. Now don't get me started on why I think seat belts should only be a requirement for children, and how I believe that adults have the right to be as stupid as they choose without the help of the government and their armed sentries. I showed him that indeed, I was wearing my seatbelt. He informed me that it was not attached to my body correctly. I was wearing it across my chest, but below my armpit, not over the shoulder. It rubs my neck, waahh. So I wear it the way it is most comfortable. 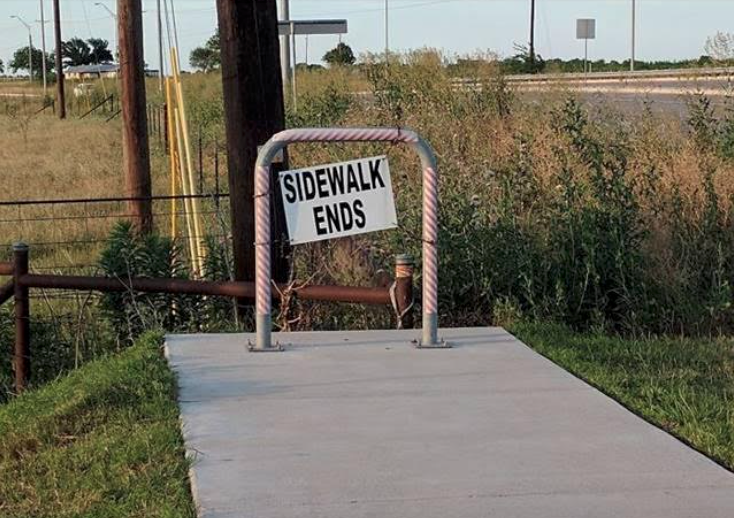 And, according to the Officer, that is the incorrect way. Another squad car - well, it was an SUV actually - pulled up and my Officer began consulting with the SUV Officer. This was getting interesting. I took a picture. I was starting to feel kind of famous since now my neighbors were watching. 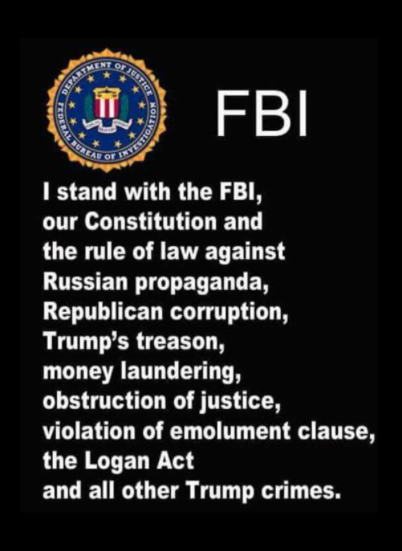 Most of them haven't done that since they spied on us for Gayle Bluemel. Mary just laughed at me. My Officer returned and told me that he was letting me go with just a warning. I told him I would try to wear my seat belt better in the future. As he returned to his car I realized that I had buckled it my way again. I fixed it. Old habits die hard, I guess. I went to the DMV website to check on the seatbelt thing (click here), mostly because I don't believe anyone anymore. I just smile and pretend I do. Last year I lost on a ticket for an infraction that occurred at an intersection that I wasn't even at. That is correct. I am probably the only person in the whole world found guilty of infractions that I was not even present for. Seat belts, both the lap belt and shoulder harness, must be in good working order. You may not operate your vehicle on public roads and on private property, such as public parking lots, unless you and all of your passengers ... are wearing seat belts ... Pregnant women should wear the lap belt as low as possible under the abdomen, and the shoulder strap should be placed between the breasts and to the side of the abdomen’s bulge. I checked. Even if I could have convinced him that I was a pregnant woman, and not a grumpy fat man, I was out of luck on this one. Still unwilling to accept the remote possibility that I might be wrong, I dug a little deeper (click here) and there was my answer. If the safety belt is too tight or rubs your neck, ask your local car dealer to adjust it. You can also place a soft cloth or piece of sheepskin on the belt where it touches your neck. Large people should contact their automobile dealer or manufacturer to purchase a safety belt extender. It's illegal for a motorist to disable a shoulder strap if it is part of the vehicle's manufactured safety system. Damn, I must concede defeat. Thanks for the heads up. PUSD Superintedent Jon Gundry Is Leaving - This should come as no surprise to anyone who has paid attention, but PUSD Superintendent Jon Gundry is moving on to greener pastures. I can't say that I blame him. Listening to Renatta Cooper loudly snoring at Board Of Ed meetings is enough to send anyone into a catatonic state. Hell, I have come pretty close to a Renatta induced snore coma a few times myself. Dear PUSD Families, It is with mixed feelings that I inform you that I have been selected as the sole finalist to be the next Superintendent of the Santa Clara County Office of Education. It has been an honor to work with the students, educators, community members and families of Pasadena Unified during the last three years. I will take many fond memories to my new endeavor.I am grateful for the support that the educational institutions, business organizations, and community partners have given our students and employees to help position our schools for success in the 21st century. I would like to thank the City of Pasadena and the Pasadena Educational Foundation for not only their support, but for the work they do to help our students succeed.PUSD has made substantial progress over the past few years: the district’s visionary Strategic Plan has been put into operation; we have formalized a collaborative work plan with the City of Pasadena and the community that links our mutual resources to benefit children and families; our schools and classrooms are transitioning to the Common Core State Standards; and our district now offers excellent competitive academic options for all students at every grade level. I know you all will build on this momentum after my departure.My expected start date at Santa Clara is August 1. I will always remember your support and your commitment to doing what’s best for children. I wish you the best. The burning question, of course, is who will be the interim superintendent until the interview process and all of that other stuff is ironed out? Most likely that would be Brian McDonald. He filled in when Gundry was in the hospital last year. Strange Things are Afoot at the Circle K - Speaking of things Bored Of Ed, it appears that there is a consultant who has been helping out one of the PUSD Board Members as a self proclaimed assistant. Our very own Tyron Hampton brought an educationalist on board, so to speak. I sure hope that this educationalist isn't accessing docs. Not all documents are public, and some even need to be kept confidential (click here). If the rules have changed, by all means, open the floodgates and send me these insights, too. Oh, and some consultation money! You may recall the redistricting fiasco that took place a couple of years back. The one which backfired right in the faces of the folks who had hoped to gain so much from it. That must indeed have been a terrible let down. Now the chickens have come home to roost, so to speak. The marginalization that they swore wouldn't happen is, um, happening. The schools and sub-districts who needed the support the most are - surprise surprise surprise - not getting anyway. Instead they are getting what they always got. Not much. Recently Tyron started eating lots of breakfast. He set up a trio of meetings to get his sub-district to, I dunno, engage. And he wanted to use district resources to cover his efforts (click here). The person introducing herself as his assistant at these events, and has even answered his office phones from time to time, is a rather well-known international education consultant. I love consultants (click here) and got out my shovel. Then I jumped into the kitty litter box. Ladies and gentlemen ... could this actually be Pasadena Unified School District's new hope and guiding light? Meet Yolande Beckles - Yolande Beckles is a transplant from the UK. According to her Facebook page (click here) she is pretty busy in the LAUSD. I assume it is helping her children on some level. Or helping somebody. Now she is helping PUSD. 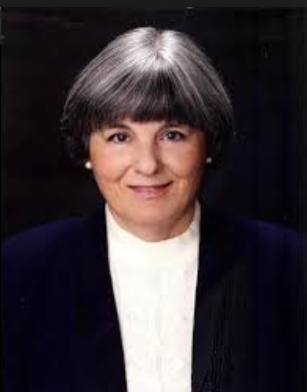 She claims to be one of the co-founders of the California Title 1 Parent Union (click here). That sure sounds like a consultation group. 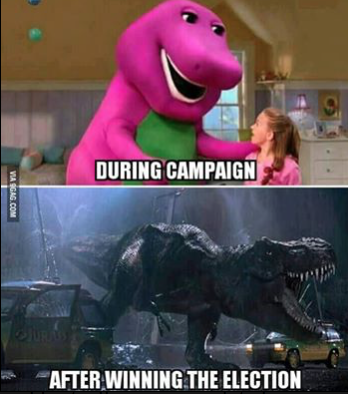 I love those consultants so, so much. Like me, Yolande has a super cool Wiki page up about her. And other really cool stuff, too. But, uh-oh. Apparently she has made a lot of people angry, even more than I have. According to the Wikipedia entry, in 1998 Ms. Beckles founded Global Graduates, a group designed to help minority students. The group collapsed in 1993 with lots of money unaccounted for, and lots of heavily negative press. Also (click here), "debts of around 125,000 British pounds were left unpaid and at least nineteen court judgements were lodged against her." In 2008, Ms Beckles suddenly disappeared from the UK, leaving behind unpaid bills and county court judgments. Now she has re-emerged in Los Angeles. 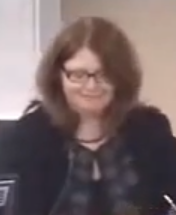 And to the dismay of former victims – one of whom runs a website called "Beckleswatch", chronicling her "nefarious" activities – she appears to be up to old tricks. She has recently founded a new firm, Think Global Kids, which operates on exactly the same basis as her previous ones: it seeks grants and financial donations from public authorities and generous philanthropists to help reform the school system and help underprivileged youngsters. Ms Beckles, whose BBC show became embroiled in scandal when newspapers discovered tha in 1999 she had been sacked by the Windsor Fellowship, a charity based in Hackney. Ms Beckles was accused of financial mismanagement, using a work credit card to pay for a dress and goods from Sainsbury's, funneling £5,000 to her mother, and giving herself an unauthorised loan of £5,000. She appealed against the sacking, but lost at an employment tribunal. Reporters also found that in 2003, her educational firm Global Graduates had collapsed, owing £125,000 and leaving students who had paid hundreds of pounds to go on its courses in limbo. 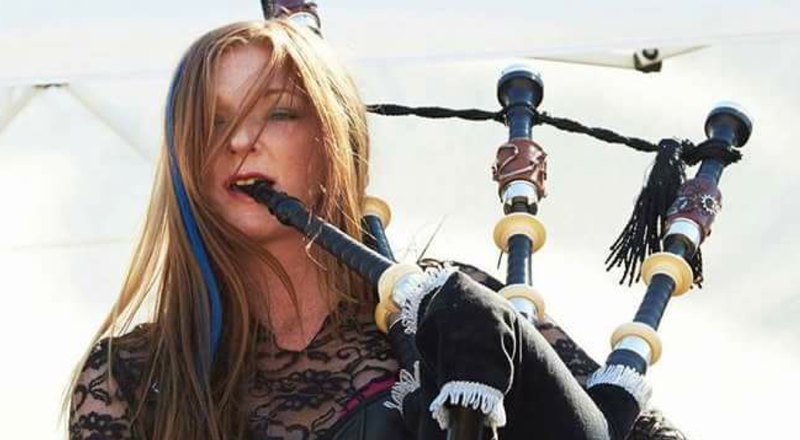 She has also been involved in three companies that were struck off the Companies House register, and 19 county court judgments had been made against her businesses, totalling £68,708. Born in London to Trinidadian parents in 1962, Ms Beckles left school at 18 and enjoyed a career in management before moving into the education sector. Most of her failed companies tapped into myriad grants available to organisations that help to educate underprivileged and ethnic minority children. That money wasn't always spent in the way it should have been, however. In 2007, she featured on the front page of London's Evening Standard after she took £12,000 from the families of under-privileged children from Hackney to fund an educational trip to the Caribbean, and promptly disappeared to South Korea, where she was attending a convention of the Moonies. A few months later, Ms Beckles was taken to court by Bickley Park School in Bromley, southeast London, for not paying her daughter's fees. Shortly after that, she vanished completely. Well whattaya know. Another education con artist. Welcome to Pasadena Unified, Yolande. You should feel right at home. 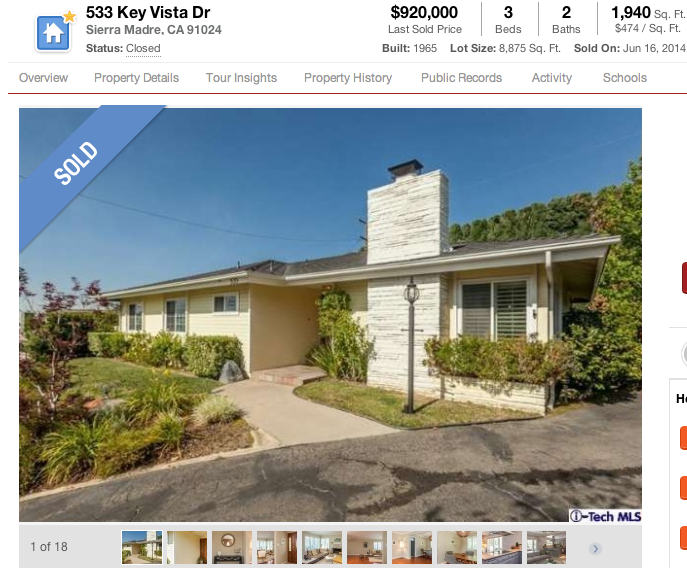 One Carter: Sierra Madre's Luxury Home Death Trap? That One Carter (or whatever it is being marketed as these days) has remained on the wild frontiers of development here in the San Gabriel Valley for so long is a matter of small wonder to anyone who has been living here in Sierra Madre for a while. Those of us who have been around for a little bit have seen the fires, floods and mudslides, and know what the potential is for earthquake damage when one of those inevitably rolls in as well. 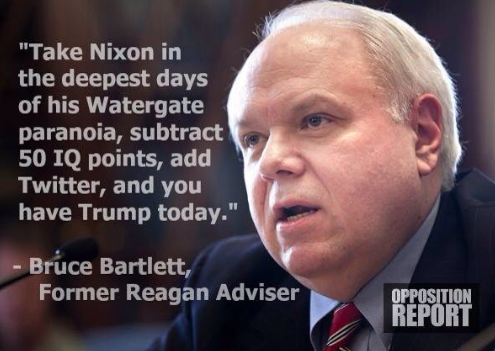 And all of these things will happen again, some much sooner than any of us might wish. Though there are those who think a flood right about now would likely be a good thing. 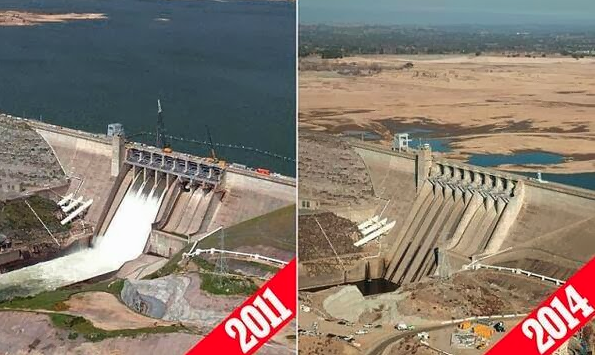 So I guess we need to add a "worst in a millennia drought" to that unhappy list as well. Just for good measure. But today, because of the failed nature of the development projects there (next year will be the tenth anniversary of nothing ever getting built at One Carter), a concerted effort appears to be in the process to move these 29 so-called "luxury lots" over to unsuspecting out of area customers. With partially underground homes known as "McBunkers" being what they would be required to build upon those unhappy sites by our city government. One reason for this is that the per lot (or "pad" if you are a land use wonk) prices are just so absurdly high. We understand the real value of these things, and there is a long history of lawsuits involved with these properties that have driven the costs so sky high. We also know there is a clear potential for natural disasters up on that hillside. This seems quite obvious to those of us who have witnessed nature's fury at that troubled location, and understand the dangers. So in the spirit of making sure that all are aware of the potential hazards there, while also taking into account all of the usual land use legal requirements the developers will be required to fulfill, here is the draft of a letter being prepared for the benefit of the parties now involved with the process of attempting to sell the lots at One Carter Luxury Estates. Or whatever stupid name they've given to the place lately. 1 - This property has been designated by FEMA a Special Flooding Hazard Area. 2 - This property has been designated, Pursuant to Sections 51178/51179 Govt. Code: Very High Fire Hazard Severity Zone. 3 - This property is designated, Pursuant to Section 4125 - Public Resources Code - Section 4291: A Wildland Area That May Contain Substantial Forest Fire Risks and Hazards. 4 - This property is designated, Pursuant to Section 2622 of the Public Resources Code as An Earthquake Fault Zone. 5 - This property is designated, Pursuant to Section 2696 of the Public Resources Code as a Seismic Hazard Zone. A) There was a murder on this property with the victim having been shot multiple times and left for dead on the site. It is also a suspected area for suicides such as the one that occurred at Bailey Canyon Park recently. 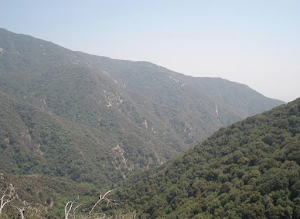 B) The One Carter area is also believed by some to be an ancient burial ground of the Tongva/Gabrielino Indian Tribe. Centuries of indigenous peoples may be buried there, and Representatives of the Tribe attended the One Carter hearings to protest development of this site. There is also the possibility of this being a "spirit vortex" according to some believers. C) Also the upper reaches of the west and east ridge of the central canyon west of the barn/cottage were burned over in the April 2008 wildfire (link). 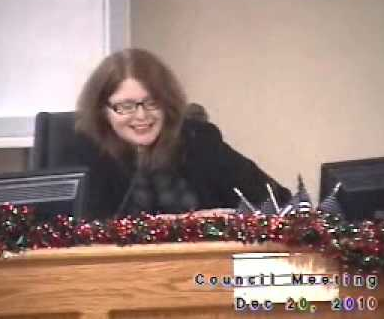 Another thing: Lest we forget, it was the 2004 City Council (see link) that enabled what would eventually become the One Carter debacle we see today. These micro-boffins did not take into account that those buying properties up there could soon find themselves in harm's way. That has always seemed both inconceivable and highly irresponsible to many living in Sierra Madre. Back then and today. It is our hope that we have now remedied this unfortunate oversight with today's Tattler post. Not immediate enough, Mr. McDonald? We can see from the latest edition of the occasionally forthcoming City Manager's Report that there are three building moratorium "Public Hearing" notices that will be published as legal advertising in this weekend's Looney Views News. In case you are not in on the joke, this unique specimen of a newspaper is our City's adjudicated weekly, and remains so pretty much by default since there is no other paper in town. To be an adjudicated publication in Sierra Madre, or any city in the once Golden State for that matter, you have to prove that your rag is actually a registered business in the town it serves. 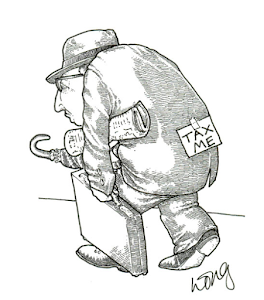 And only then can you be the paid carrier of the city's legal tidings. Of course, putting such notices on the city's website could be done for free, but Sacramento's lobby bought adjudication laws state that in order for a legal notice to be truly legal, dead trees must be involved. So we're stuck paying "The Looney." Since the LVN is the only fishwrapper we have, it therefore receives thousands of dollars in taxpayer money yearly to run our city's legal notices. In exchange for that generosity we got Naked Noah's candidacy for City Council, strange and irrational support for the last two failed UUT increase ballot measures, a disturbing Paul Tanaka endorsement, and a weird assurance from Harriet Susan Poole Carter Henderson herself that McMansions will be built at Mater Dolorosa. No matter what the residents of this town might have to say. California state law at work, and yet one more instance where your tax money could be used for more rational purposes. You know, rather than things like enabling Susan's delusions of political relevance. That is, if we were actually permitted to do so. But I digress. 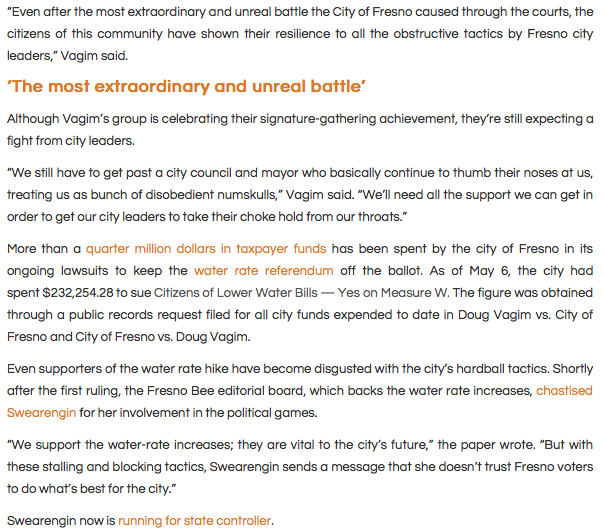 Here is what City Manager Elaine Aguilar states will be included as advertising in the Looney Views News this weekend. 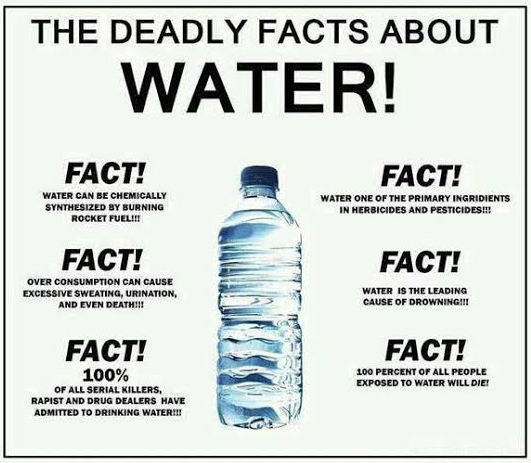 You can get this information here at no charge to the taxpayer. 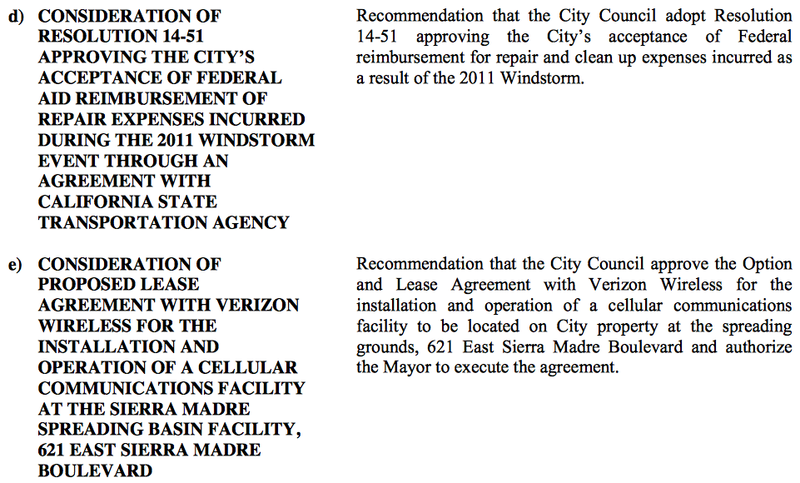 Attached are the three public hearing notices that will be appearing in Saturday’s newspaper. The City’s legally adjudicated newspaper is the Mountain Views News. The notices pertain to the three water emergency actions that the City Council requested at Tuesday night’s Council meeting. This will probably leave some with the impression that all three of these items will be carefully weighed at the next City Council meeting, which is scheduled to take place on July 8. However, as those who watched the most recent City Council meeting know, only the Phase III so-called "Water Conservation" measure stands much of a chance of being enacted. Despite the lack of a public hearing having been conducted on any of these three options, both Mayor John Harabedian and Councilman Gene Goss have already let it be known that they will likely not vote for either of the two true building moratoriums, and instead prefer something that involves hitting the residents with stiff fines should they not decrease their current water usage by 30%. Can this be a kind of punishment? One being levied by City Hall because of the widespread preservationist opposition to three McMansion developments in town? Development that certainly could prove highly profitable to certain downtown government interests, such as city employee unions? Stranger things have happened here. 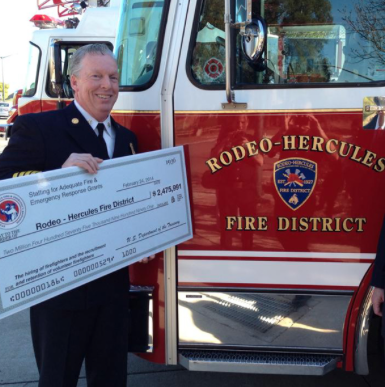 California leading $36,000 a year City Hall health plans for instance. 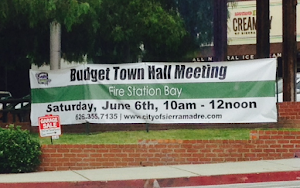 When you consider that the residents of Sierra Madre have been forced by City Hall to endure two water rate increases in four or so years, along with infrastructure so badly neglected and decayed that it turns imported SGVWMD water into various unhealthful colors, you'd think levying any further costs would be in bad taste. So to speak. But such self-awareness seems alien to Harabedian and Goss, and neither apparently has any problem hitting you with what would be a de facto third water rate increase, and in a short period of time. The Pasadena Star News article is called "Sierra Madre considering stricter measures in face of continued California drought," and was written by Zen Vuong. There are a few quite interesting moments, and I thought I should point them out. If you wish to read the entire thing (and you should), you can do so by clicking here. Richard McDonald, attorney for the developer of Sierra Madre’s Stonehouse lots, said it would be unfounded for the Council to vote in favor of a building moratorium and characterized the move as draconian. 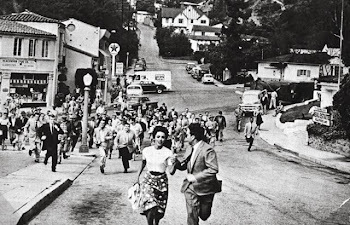 It seems extraordinary that Richard McDonald, attorney for the unidentified forces wanting to build McMansions at One Carter, believes that what is going on in Sierra Madre today is not an "immediate threat." If it isn't, then what would be? Bubonic plague? A small device nuclear war? It is also rather myopic of Mr. McDonald to believe that this is all due to our having run out of the water we once used for all of our needs. The terrible condition of our badly neglected water infrastructure alone should be reason enough to shut down development for years. According to our newly hired water quality consultant, you might not even want to drink the stuff in a month or two due to nitrification or "blue baby syndrome." 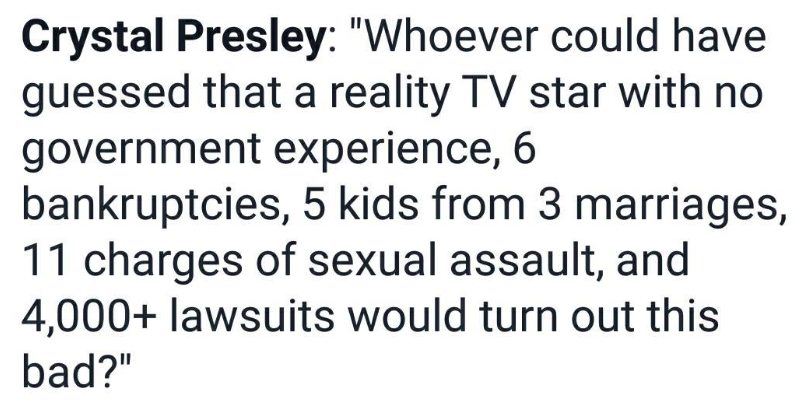 That seems pretty current and immediate to me. But whatever his reasons, a two year water availability window would seem to be enough time to build McMansions, sell them at a handsome profit, and then get out before the whole mess goes down in flames. And for him that apparently is business as usual. What is comical here is McDonald then attempts to disparage concerned residents as being "anti-development." In his mind that being a very bad thing. 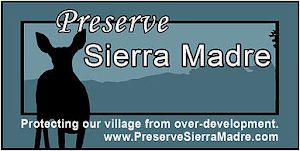 What these Sierra Madreans are actually trying to do is prevent the heartless exploitation of their hometown by outside big money interests, people who see a precarious two year water supply as reason enough to justify building a destructive hillside swathe of 5.5 bathroom jumbo McMansions. I am not certain the attorney is aware, but sustainability really is a big issue in California these days. You are actually supposed to have what you use. And besides, wouldn't disclosure laws require the developer to discuss the absence of water with the potential purchasers of these elephantine "modern family" barns? Then again, as a hire possibly representing expatriates of an at times hostile foreign economic power, chances are good that he doesn't give a damn what happens to Sierra Madre. McDonald is likely providing cover for folks who just want to exploit an asset, build their multi-million dollar McMansons, make a profit and then clear out. What happens afterwards being of absolutely no concern to any of them. City Councilman Gene Goss said the public shouldn’t put water discoloration, water conservation and anti-development sentiment into the same box. Again we are witness to the myopia of an individual who doesn't seem to grasp the sustainability issue. And isn't that what this Phase III so-called water conservation thing does? Link development with water conservation? Questioning the wisdom of widespread McMansion development during the worst drought since records began should not be treated as if it is an irrational or thoughtless act. 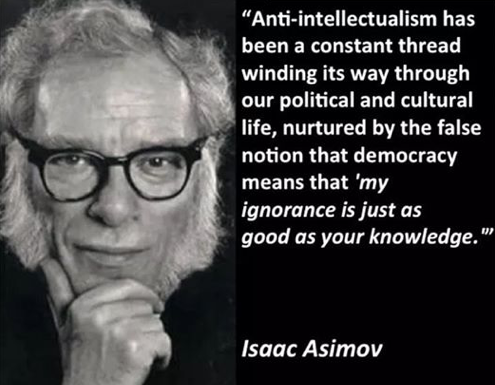 In most communities this would be regarded as civic sanity. You don't pack in additional housing when the water supply is barely adequate for those living here already. But what's even worse is blaming the residents for something that is not even their fault. After having endured two water rate hikes, and then water the color of old teeth, to then say they haven't been doing their part is, well, highly out of touch. To demand that residents then cut their water use by an additional 30%, or face stiff fines for not being able to do so, seems almost unconscionable. But apparently that is the disconnect going on here. Goss and Harabedian said Phase III would prevent new water hookups, which is also what a more highly regulated no building moratorium would do. Capoccia said he’s OK with just enacting Phase III as long as the Council self-imposes discipline that a building moratorium would have done. It would be nice to think we have a city government that recognizes a lack of water as being a good reason to not go on a 6,000 square foot McMansion building boom. And that any effort to curb such a thing during an extreme environmental emergency need not be accompanied by sock it to the resident financial punishments. 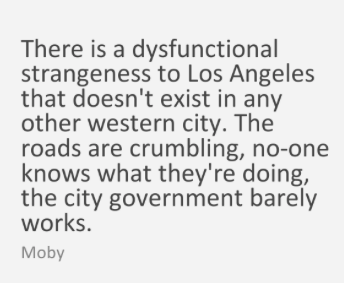 But then again, we have a very strange city government. 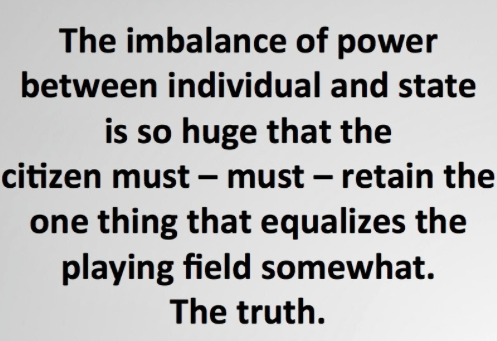 It is within your purview and authority to implement a building moratorium and a water service connection moratorium. There is a precedent right here in our own city for a building moratorium. Such a moratorium was put into place regarding building and remodeling in the Canyon until the Canyon Zone Committee, then in process, was completed. Folks with projects in the world may not have liked it much, but they understood the need as a common good. 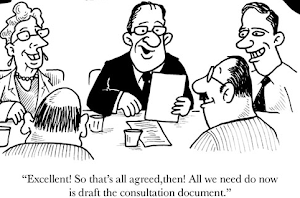 You do not have the necessary tool yet to make decisions regarding building developments whether it be lot splits, housing developments, building configurations or zoning because the General Plan update has not been approved and implemented. This is by no fault of the General Plan Steering Committee. They along with many volunteers did what they were asked to do, but an intended 18 month process somehow turned into 5 years, and it is still on the Strategic Plan as everyone can see. Resources, particularly water, but not to the exclusion of police and fire, traffic, access and circulation, noise, open space, recreational facilities and wildlife considerations, also cannot support additional development. The City will never meet the RHNA requirements imposed by SCAG unless those requirements are mandated to be met within the proposed development. The time frame of a 2 year moratorium is more than ample to approve the plan as the people have articulated their vision of the community looking out 20 years. It is sufficient time to develop a Growth Management Ordinance encompassing the use and availability of resources including water. This ordinance would become a part of the General Plan just as the Hillside Ordinance and Canyon Zone Ordinance are. 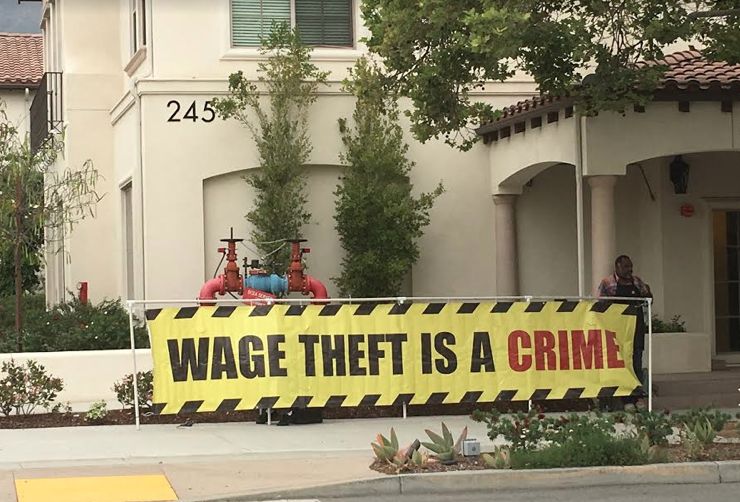 SCAG will continue to assign RHNA numbers despite the fact that they have no data to support the fact that this housing is necessary as assigned. If you ask how many housing units have been built to satisfy RHNA numbers in the region - they can't tell you. I know because I have asked that question many times at the HCD meetings. The answer is they are not as concerned with outcomes as they are "process." The General Plan is the ultimate trump card. It provides substantiation for our "built out" definition, our stewardship of the watershed above us and our use and availability of resources. It is the most important tool in the arsenal to keep Sierra Madre the way it is. Which is what each of you promised to do when you campaigned for office. A building moratorium will facilitate the process of completing the General Plan as the people wrote it. You need no better reason. 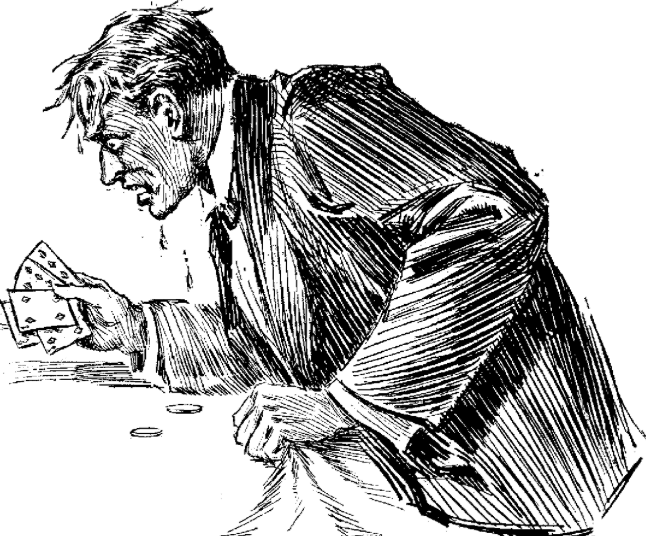 What - No Real Estate Tax Increases? After the water worry portion of last night's City Council meeting finally came to a halt, a break period was called. Myself, along with the many people who showed up to talk about their horror at the impending destruction of our community at the hands of greedy developers, saw their chance and started to head for the exits. The prospect of having to stay and listen to City Staff complain about the defeat of Measure UUT yet again being too much for even the strongest of us to take. Much to my enduring amazement an obviously agitated Mayor Harabedian came rushing into my presence. This being a surprise since usually the guy just ignores me, preferring instead to spend his precious Council Chambers recesses talking to people who share his opinions about the special qualities of This Year's Mayor (TYM). Which is just fine with me. I personally enjoy the quiet. There is so little most people have to say that improves upon it. However, Mayor Harabedian appeared to have a special concern last night. He apparently needed to know what I was going to write on this blog this morning about his solution to the demand of the many residents present for a building (or is that a water) moratorium. That being favoring Phase III Water Restrictions over a water moratorium. This was surprising since in the past he had expressed the opinion that nobody reads The Tattler. Himself included. What I told him is that I believe he is merely playing politics with this issue. Phase III Water Use Restrictions are going to be extraordinarily unpopular in this town. They call for additional 30% per property water use reductions on top of those already made, and back that up with stiff fines. 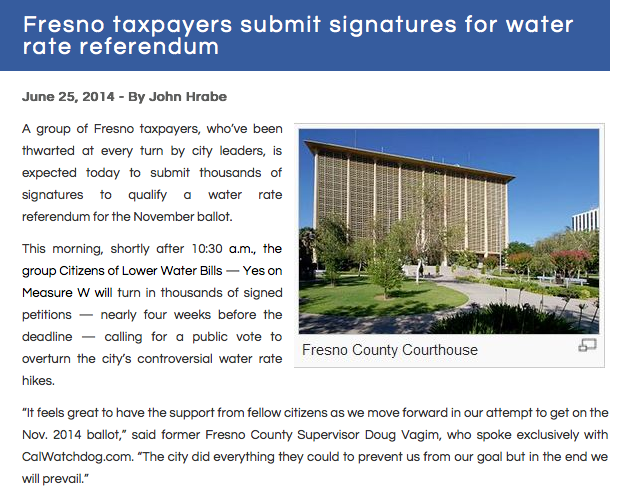 Which, in my humble opinion, is tantamount to yet another water rate increase. 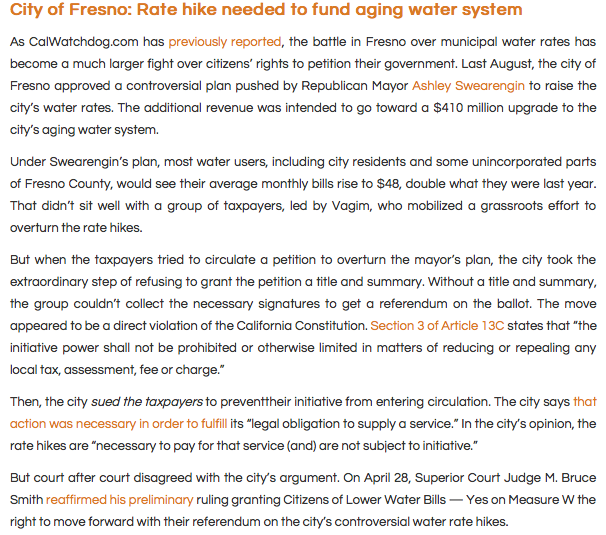 Phase III fines, added to the nearly 100% in increases from the last two water rate imbroglios, being a bit excessive. 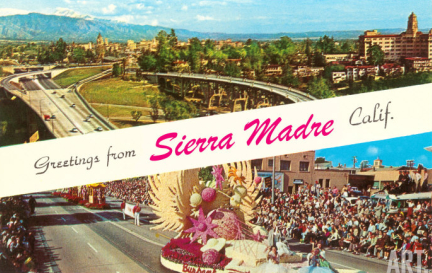 Even for Sierra Madre. Also, why is it that the first reaction of City Hall is to call upon the residents to make even more sacrifices than they already have? Is the City angry at us because our opposition to three big McMansion developments could possibly cost them millions of dollars in Development Impact Fees? Is this getting in the way of the $36,000 Cadillac health plan benefits they seem to favor? 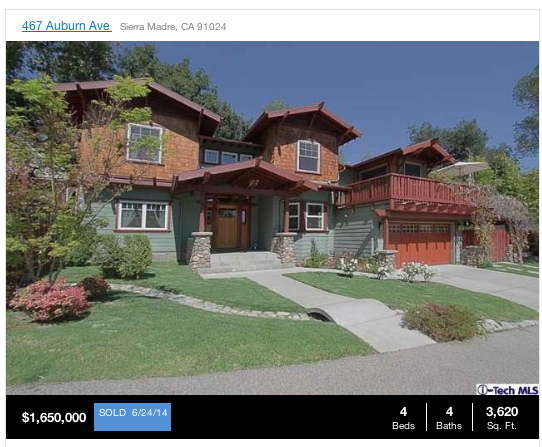 There is a lot of energy in Sierra Madre right now over McMansion development. Nobody wants to see Sierra Madre sold out like that. Especially when the sole consideration downtown is how much money City Hall will make off of the applicable development impact fees when these 6,000 square foot multi-million dollar nightmares are built. 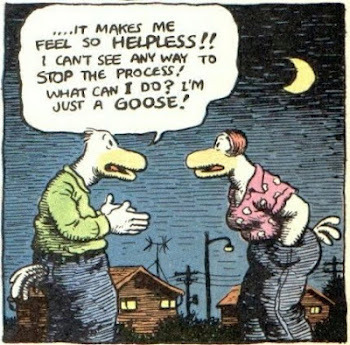 My take here is that Harabedian, along with The Great Tax Fighter and the hopeless Gene Goss, are all puppy perky over Phase III Water Use Restrictions for the very worst of reasons. Their politically driven hope here being that the people of Sierra Madre will quickly grow tired of both the fines and demanded sacrifices, throw up their hands and decide that even McMansion development would be preferable to having to endure much more of getting phased. A nice way to kill a movement. At least in their eyes. Just so you know, a Water Moratorium, which would halt the installation of new water hook ups, doesn't include hitting the townies up for significant fines and punishments when they don't comply with draconian 30% use reductions. In other words, you will not be the one called upon to make all the sacrifices. 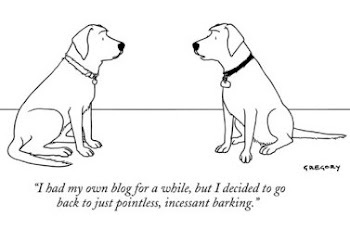 The whack on the snout with a rolled up newspaper will instead land someplace else. If you think about it, it is as if you are being punished for opening your mouth about over-development. Or using too much water so development can't happen. Or perhaps even for failing to pass Measure UUT. Something that is so very City Hall these days. Blaming the residents being preferable there to being blamed themselves. And does a water moratorium really have anything to do with fining residents for not reducing their water consumption by 30%? How do you logically make a connection like that? 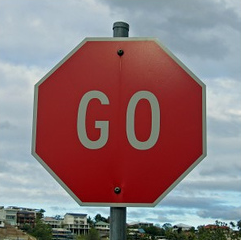 My unsolicited advice for Mayor Harabedian? Two points. 2) Always tell the complete truth. 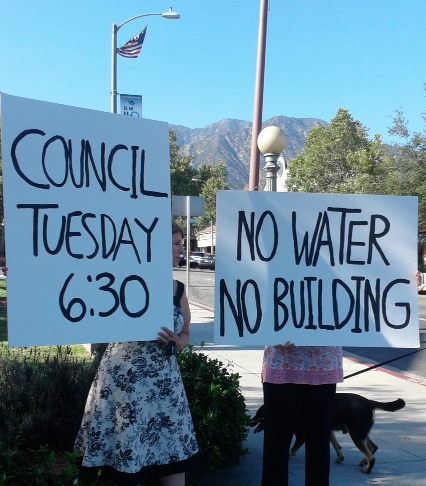 Claiming that Phase III Water Use Restrictions are the solution to Sierra Madre's problems helps accomplish neither of those goals. It is nice that there would be no more water hook-ups. Make no mistake. But why undo the good in that by then beating up the residents and ratepayers of this town? Haven't they suffered enough with two successive rate increases in just the last few years, while now also having to endure water the color of old false teeth? Now you want to fine them as well? - The black suited lawyer for the One Carter developer strutted up to the podium last night and tried his very best to be scary. An effect that was probably lost when the room burst out into laughter more than once. However, the last laugh was probably his. Phase III Water Use Restrictions would be music to his ears. One Carter already has water hook-ups. Suddenly the property there is worth a lot more. Rumor has it he and Adele danced the night away. - Mayor Harabedian, perhaps fearful that he might not be thought well of, discussed how the previous City Council had carefully considered water hook up moratoriums. Yet none of the knowledgeable City Council watchers that I spoke with after the meeting could remember such a conversation ever happening. Do you? - Is it just me, or did Terri Highsmith make a 180 degree turnaround last night? 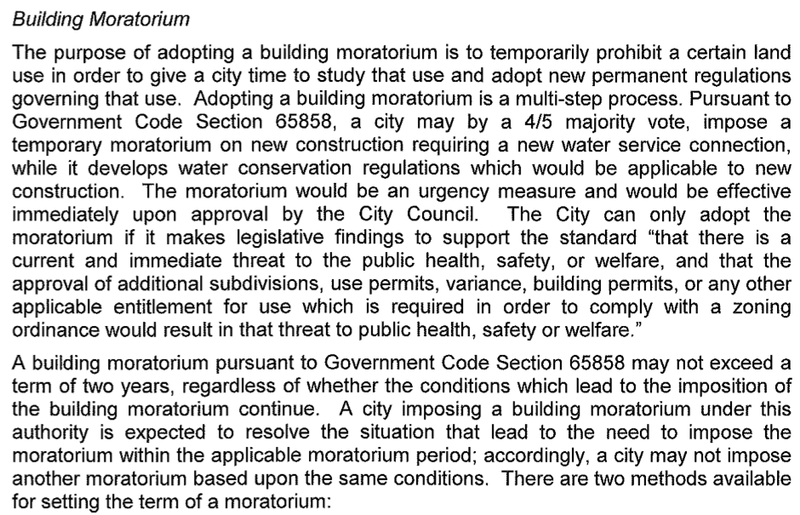 Go back and reread her staff report on building moratoriums, and then compare it with what she said at this City Council confab about a Water Moratorium. We've either gotten to her or she caught Phase III mania just as (umm…) spontaneously as those three Councilmen. 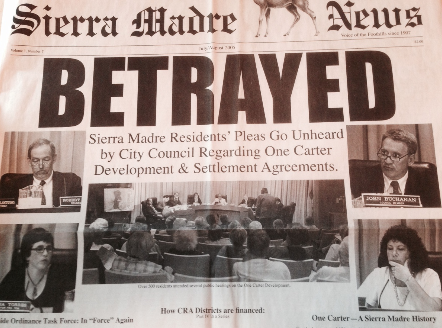 - The residents of Sierra Madre made a great showing last night, and deserved much better from their City Council. They will now need to come back and do it all over again. 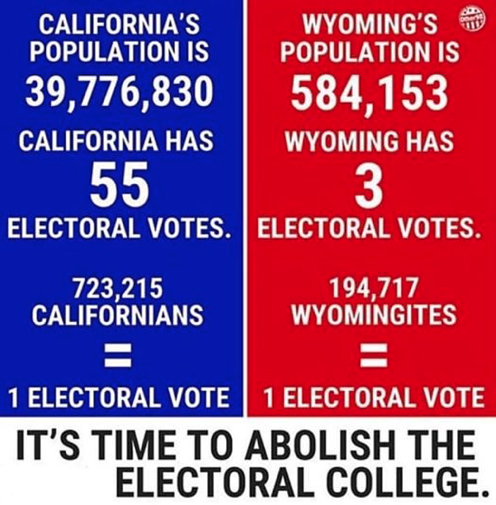 Hopefully that will help our elected officials get this right. There is one thing that is for certain in all of this. You are freaking City Hall out big time. The thought that their big three McMansion developments might be stopped dead in their tracks has got the folks downtown very concerned. 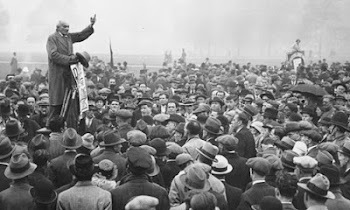 After the stunning defeat they took on Measure UUT, they are scared that the same thing might now happen to the development impact fees they are banking on to fund their union pensions and benefits. It's really all they care about, and everything they are doing now is with that one thing in mind. Let's look at this another way. 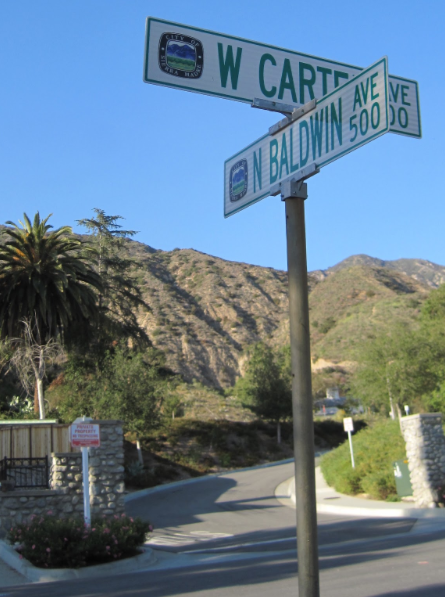 The last remaining unbuilt areas in Sierra Madre are One Carter, Mater Dolorosa and Stonehouse. That is pretty much all we have left. The threatened McMansion developments being planned for these three places are now being pushed through by City Hall as fast as their little minds can take them. To the city your birthright as a Sierra Madrean is little more than an easy way to fund things like $36,000 a year health care plans. To you as a resident of this town these places are likely a part of a sacred trust. To them it is just something else to sell out on so that they can retire at 50 and get as far away from this place as possible. City Hall might be living off of your taxpayer dime, but that hardly means they care a whole lot about what you believe is important. And you are not being dealt with fairly because the city isn't concerned about anything that doesn't favor their interests. Somehow the employee became the boss, and the obligation to produce is now on you. There are four stupid City Hall tricks that have been put into place downtown for tomorrow's City Council meeting. I thought we should take a minute to talk about them. The city does not intend to play fair on the issue of a moratorium on development here, and they are doing everything they can to put a stop to it. 1) The Mayor does not care to hear from you: You would think that a city claiming to be as dedicated to transparency and citizen involvement as this one would welcome residents hoping to speak out on an issue of importance with wide open arms. Yet you can see by the City Council Meeting Agenda I have posted below, the Mayor has scheduled the discussion on a development moratorium to almost dead last. Counting the Consent Calendar there are 13 items ahead of the moratorium discussion. This was done intentionally. The idea being that after listening to these far less consequential matters for a couple of hours people will grow discouraged and leave. 2) A Councilmember will be absent: One of our newly elected City Councilmembers, Rachelle Arizmendi, who is as dedicated to the right of Sierra Madre's residents to be heard on the matter of development and the water crisis as anyone, has a family obligation. This is a longstanding commitment, and something the Mayor and City Manager have known about ever since Rachelle was first elected to the City Council last April. Rachelle is a likely vote for a development moratorium due to both the water crisis and the fact that the General Plan is not complete. Not complete largely due to unhelpful roadblocks being put into place by City Staff. Yet this is the night the Mayor has now picked to discuss the development moratorium. Try and guess why. 3) Building Moratorium vs. Water Moratorium: A reader who knew something posted this observation yesterday: "You are being told what you CAN'T DO by the City, but of course they are lying to you by omission because you aren't being told what you CAN DO." What the commenter was talking about is the staff report on a development moratorium put together by City Attorney Teresa Highsmith (link). In that report Ms. Highsmith informed us that any building moratorium would by law have a limit of two years. Which is true. Yet the City of Cambria had a moratorium in place for more than a decade, starting in 2001. So how can that be? Easy. 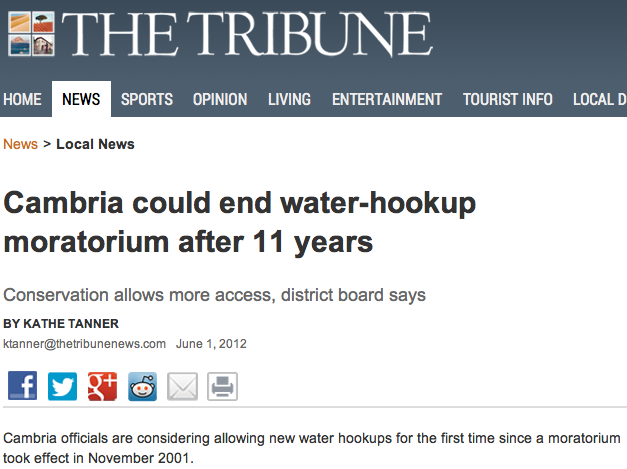 Cambria's moratorium is a water moratorium, not a building moratorium. 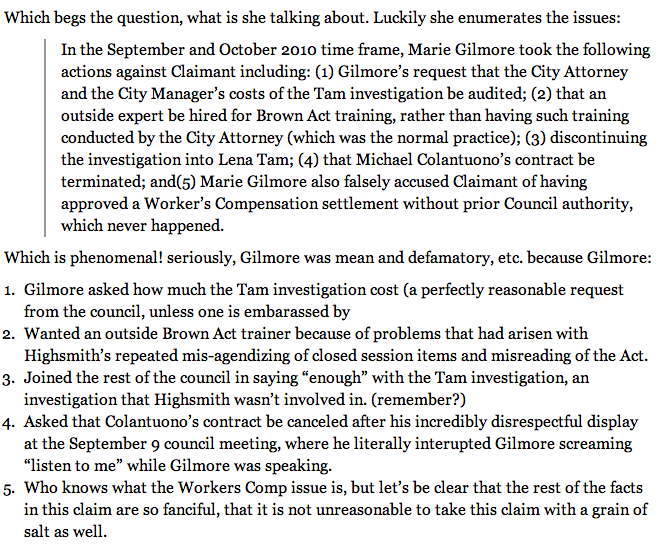 Somehow the City Attorney neglected to highlight that possibility quite as thoroughly in her staff report. A lie by omission? You tell me. 4) The EENER dodge: While the city is doing what it can to discourage you from speaking your mind at tomorrow night's City Council meeting, there is a place where they would prefer that you go. And that is the EENER Commission meeting taking place at City Hall on July 16. They really do want people to show up there instead to talk about the City's water woes. Now there are people on the EENER squad that I respect. Caroline Brown for one. But by and large you could go to Arnold's Hardware and talk to the fine collection of shiny new doorknobs on sale there and get more out of it. You also need to ask yourself this. 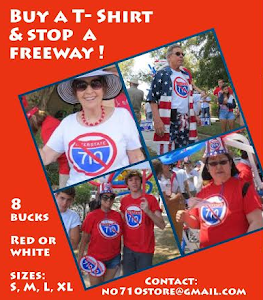 This EENER meeting on July 16 has been lavishly publicized in articles printed in the Pasadena Star News, Sierra Madre Weekly and the Looney Views News. Yet not a single one of those publications wrote anything about the development moratorium being discussed at tomorrow night's City Council meeting. So why heavily hype a relatively minor meeting not taking place until the middle of next month while at the same time ignoring one of the biggest issues to come down in Sierra Madre since last April's election? 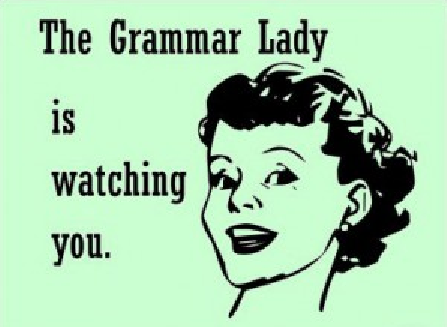 I suspect you know. 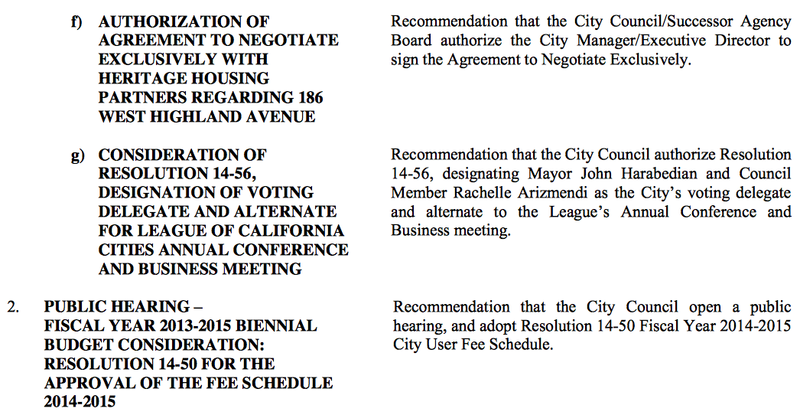 Here is the agenda for tomorrow night's City Council meeting. I'll see you at City Hall tomorrow night. 6:30pm is the time. Remember, there is also an open public comment opportunity at the beginning of this meeting as well. As good a time as any to discuss the unfortunate order of this meeting agenda. Don't let stupid City Hall tricks discourage you from being heard. You are smarter and tougher than that. 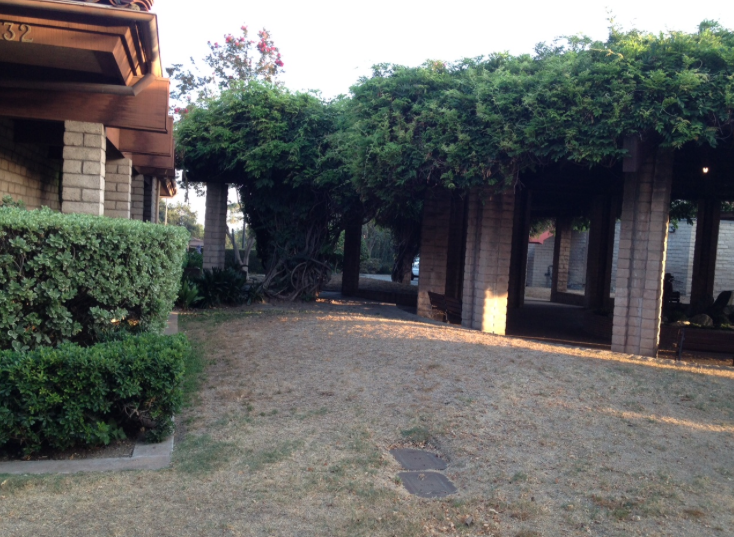 Could The City Attorney Be Wrong About A Two Year Legal Limitation On Building Moratoriums? 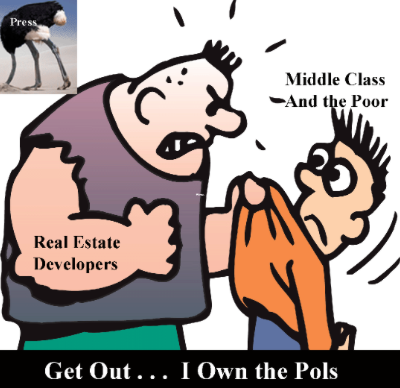 It has long been the suspicion of some in this community that the developers and Realtors in the area have an attorney working at City Hall that we pay for. Which would be quite a convenience for them, and something that could give them a bit of a leg up when it comes to things like controversial land use issues. Now I am not going to say here that what follows is any proof of this contention. 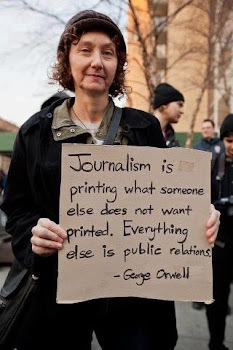 However, it also does not contradict this notion either. 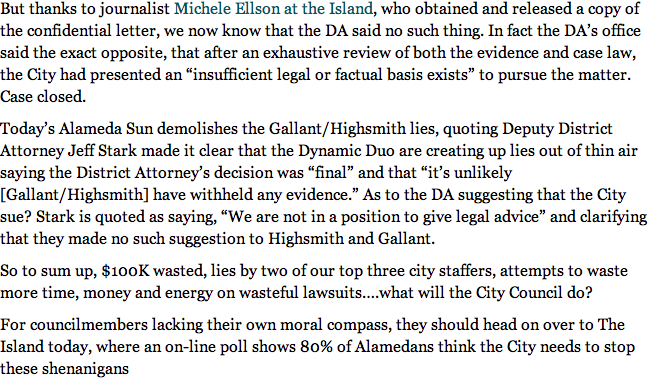 And that this rumored faithless attorney working at City Hall is actually our City Attorney, well, that would certainly be a bad thing if true. It is unfortunate enough that certain elected individuals are also suspected of being faithless as well. 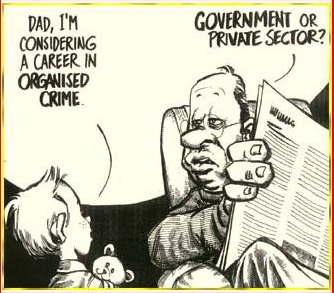 We just don't seem to be having much luck with the government officials we date. In the metaphorical sense, of course. On the matter of any time limitations to a possible building moratorium here in Sierra Madre, one predicated on the rather undeniable fact that we have run out of water and what we are importing to replace it is not regarded by many as being pure or healthful (at least after it hits our decrepit and rather ancient city plumbing), Sierra Madre City Attorney Teresa Highsmith pronounces the following legal opinion. This is taken from the current staff report on this matter, written for Tuesday evening's City Council meeting. 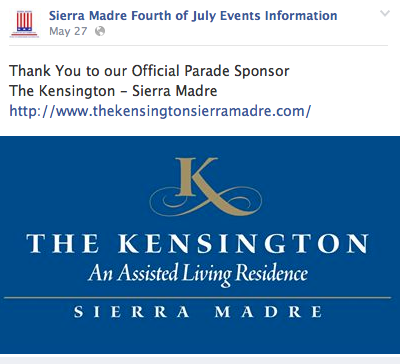 It is currently parked on the City of Sierra Madre website and can be easily linked to by clicking here. If true, and that is how this Govt Code does appear to be written, it would certainly be convenient for those in the McMansion development community opposed to any building moratorium based on our locally non-existent water supplies. 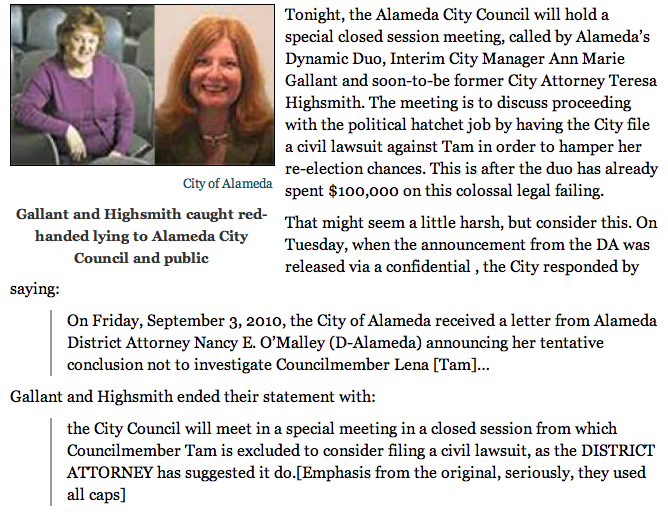 That Ms. Highsmith supplies no other opinion on this matter in her report to the City Council except to say that there is a maximum two year limitation on such moratoriums in California, certainly seems to indicate an unshakable belief that this interpretation of the moratorium question is not open to challenge. So how do you explain this (link)? 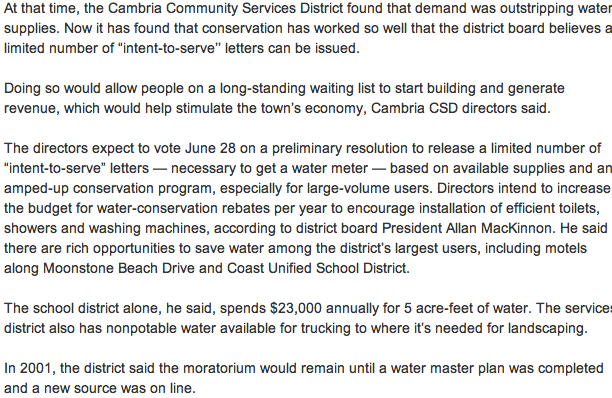 Apparently the City of Cambria, which like Sierra Madre is in California and therefore subject to the same state laws, had in 2012 a water supply based building moratorium in place since 2001. Which math shows is far longer than two years. So what's up with that, Teresa? Et Cetera: Does anybody know anything about this? 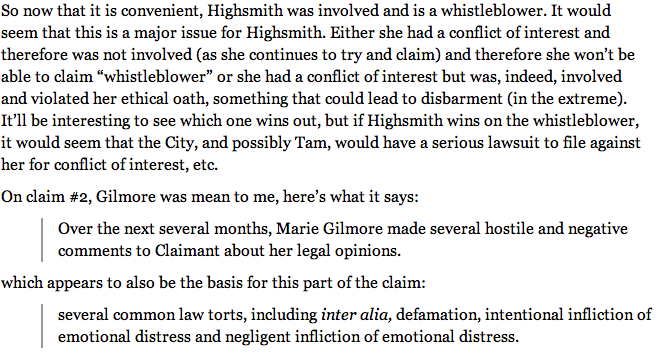 That certainly must have been an interesting time for Ms. Highsmith.